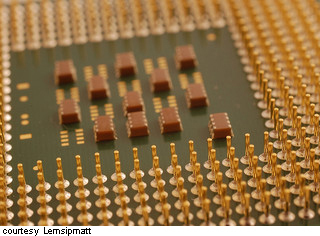 The modern CPU usually contains a number of microprocessors (multi-core). It is often described as the 'brain of the computer'. The purpose of the CPU is to process data. It is where all the searching, sorting, calculating and decision making takes place in the computer. The CPU will issue instructions to other devices depending on the results of the processing. For example, if the user wants to print a document, the CPU will instruct the printer about the task. So no matter what you do on your computer, whether it be writing an essay, looking at your photographs or checking your emails, the CPU has dealt with all of the data and processing required to make these tasks possible.